For divorcing couples with children, the main question on both parties’ minds is often how each spouse can preserve his or her relationship with the child after the marriage ends. But it is not enough to simply devise a visitation agreement that satisfies both parents’ desire for contact with their child: A parenting plan must always take into account the child’s best interests as well. 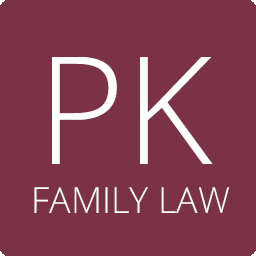 From the initial child custody contest all the way to the particulars of child support and visitation agreements, the Law Offices of Patricia A. Kalal, located in Highland Park, Illinois, has handled every aspect of child custody cases. While attorney Patricia A. Kalal’s negotiation experience has often allowed her to reach a settlement where other lawyers were unable to do so, we have taken cases all the way to state and federal jury trials when necessary, and won. And though we will pursue every available course of action toward achieving your goal, we never lose focus on the real goal: legally protecting the physical and emotional well-being of your child. If you are going through a divorce and are concerned about the custody of your child, contact our firm today to schedule an initial consultation. It can be nerve-wracking for parents to go through a divorce when the question of their child’s custody remains in doubt. But a custody battle can be even more difficult for children to manage. Our firm often works with child psychologists and other mental health professionals to make sure that your child’s welfare remains our top priority. No matter how simple or complex your child custody issue is, we are here to help. Contact our firm today to schedule an initial consultation.